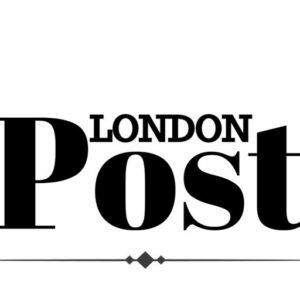 Worrying about a flat smartphone battery could become a thing of the past – at least for some pedestrians in London. 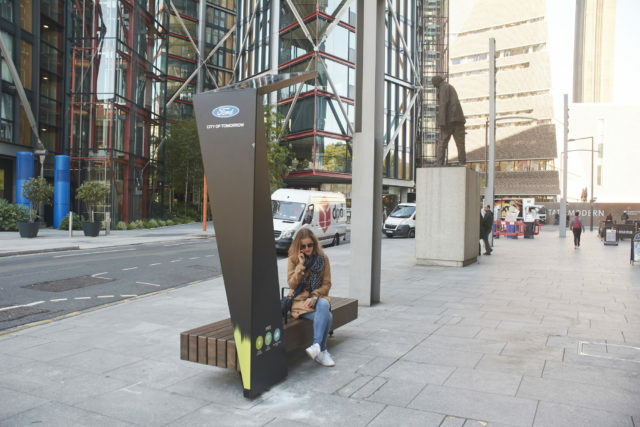 Ford and smart cities start-up Strawberry Energy are rolling out smart benches to offer pedestrians free solar-powered mobile charging and Wi-Fi access while they sit and rest across the city. The collaboration will initially provide 20 Ford Smart Benches, doubling the number of benches installed by Strawberry Energy earlier this year. As well as enabling people to use their device to plan onward journeys, the hi-tech street furniture can monitor noise, carbon dioxide, humidity, and temperature. The information will be available free of charge to bench users and participating London boroughs and could help inform future decisions. Access to Wi-Fi and charging, both wirelessly and via ports, is free, not just for smartphones but also for tablets, cameras and wearables. There will also be an opportunity for those using the urban pit stops to make a donation to U.K. charities St Mungo’s, Rethink Mental Illness and Macmillan Cancer Support. Ford Motor Company Fund, the company’s philanthropic arm, will match donations received from bench users, up to £10,000 for each charity.